Today we pay our respects and honor yet another fallen musician. My dad really enjoyed old school country/western music, so the music of today's musician was heard quite often in my home while growing up. Merle Haggard was an American singer, songwriter, guitarist, fiddler, and instrumentalist. Along with Buck Owens, Haggard and his band the Strangers helped create the Bakersfield sound, which is characterized by the twang of Fender Telecaster and the unique mix with the traditional country steel guitar sound, new vocal harmony styles in which the words are minimal, and a rough edge not heard on the more polished Nashville sound recordings of the same era. Haggard's childhood was troubled after the death of his father, and he was incarcerated several times in his youth. 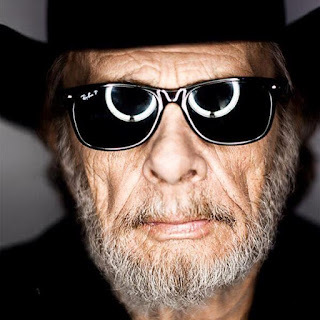 He managed to turn his life around and launch a successful country music career, gaining popularity with his songs about the working class that occasionally contained themes contrary to the prevailing anti-Vietnam War subject matter of much popular music of the time. 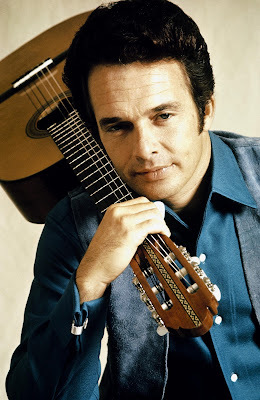 Between the 1960s and the 1980s, he had 38 number one hits on the US country charts, several of which also made the Billboard all-genre singles chart. During the 1970s, Haggard became aligned with the growing outlaw country movement, and he continued to release successful albums through the 1990s and into the 2000s. His father died of a brain hemorrhage in 1945, an event that deeply affected Haggard during his childhood and the rest of his life. To support the family, his mother worked as a bookkeeper. At 12, his brother, Lowell, gave him his used guitar. Haggard learned to play alone, with the records he had at home, influenced by Bob Wills, Lefty Frizzell, and Hank Williams. As his mother was absent due to work, Haggard became progressively rebellious. His mother sent him for a weekend to a juvenile detention center to change his attitude, but it worsened. Haggard committed a number of minor offenses, such as thefts and writing bad checks. He was sent to a juvenile detention center for shoplifting in 1950. When he was 14, Haggard ran away to Texas with his friend Bob Teague. He rode freight trains and hitchhiked throughout the state. When he returned the same year, he and his friend were arrested for robbery. Haggard and Teague were released when the real robbers were found. Haggard was later sent to the juvenile detention center, from which he and his friend escaped again to Modesto, California. He worked a series of laborer jobs, including driving a potato truck, being a short order cook, a hay pitcher, and an oil well shooter. His debut performance was with Teague in a Modesto bar named "Fun Center", being paid US$5, with free beer. He returned to Bakersfield in 1951, and was again arrested for truancy and petty larceny and sent to a juvenile detention center. After another escape, he was sent to the Preston School of Industry, a high-security installation. He was released 15 months later, but was sent back after beating a local boy during a burglary attempt. After his release, Haggard and Teague saw Lefty Frizzell in concert. After hearing Haggard sing along to his songs backstage, Frizzell refused to sing unless Haggard would be allowed to sing first. He sang songs that were well received by the audience. Due to the positive reception, Haggard decided to pursue a career in music. While working as a farmhand or in oil fields, he played in nightclubs. He eventually landed a spot on the local television show Chuck Wagon, in 1956. Married and plagued by financial issues, he was arrested in 1957 shortly after he tried to rob a Bakersfield roadhouse.He was sent to Bakersfield Jail, and, after an escape attempt, was transferred to San Quentin Prison on February 21, 1958. While in prison, Haggard discovered that his wife was expecting a child from another man, which pressed him psychologically. He was fired from a series of prison jobs, and planned to escape along with another inmate nicknamed "Rabbit". Haggard was convinced not to escape by fellow inmates. Haggard started to run a gambling and brewing racket with his cellmate. After he was caught drunk, he was sent for a week to solitary confinement where he encountered Caryl Chessman, an author and death row inmate. Meanwhile, "Rabbit" had successfully escaped, only to shoot a police officer and return to San Quentin for execution. Chessman's predicament, along with the execution of "Rabbit", inspired Haggard to correct his life. 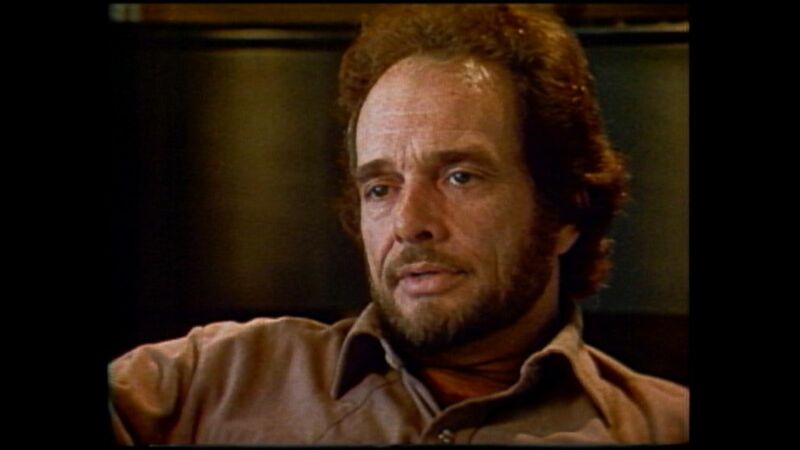 Haggard soon earned a high school equivalency diploma and kept a steady job in the prison's textile plant, while also playing for the prison's country music band, attributing a 1958 performance by Johnny Cash at the prison as his main inspiration to join it. He was released from San Quentin on parole in 1960. In 1972, after Haggard had become an established country music star, then-California governor Ronald Reagan granted Haggard a full and unconditional pardon for his past crimes. He received many honors and awards for his music, including a Kennedy Center Honor (2010), a Grammy Lifetime Achievement Award (2006), a BMI Icon Award (2006), and induction into the Nashville Songwriters Hall of Fame (1977), Country Music Hall of Fame (1994) and Oklahoma Music Hall of Fame (1997). He died on April 6, 2016 — his 79th birthday — at his ranch in Northern California, having recently suffered from double pneumonia. "I Think I'll Just Stay Here And Drink"
Do you have a favorite Merle Haggard song? Feel free to share it in the comments. Hopefully your favorite contender will win!